A/B testing has continually proven to be a superior revenue driver over that of online marketing spend. It enables companies to identify key roadblocks along the conversion funnel, fix flaws in the user experience and pinpoint other areas of friction. When executed properly along with both traditional and in-page web analytics, it gives marketers valuable insight that informs optimization and therefore increases revenue. 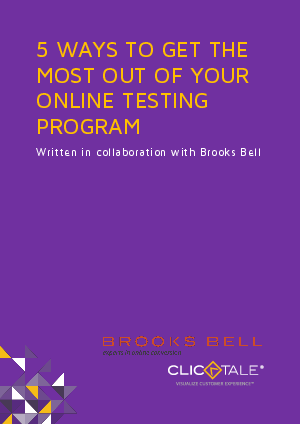 Download this white paper for the top five ways to get the most out of your online testing program.